Meghan Markle is expected to promote her advocacies in her charities. Now that the former "Suits" star is an official royal after her wedding to Prince Harry, she is expected to be a patron to different charities. When it comes to the organizations she will support, she is expected to campaign for female empowerment and feminism. "I expect Meghan to hit the ground running in areas such as female empowerment, especially as her commitment to feminism is mentioned on the Palace website," Richard Fitzwilliams told Express. 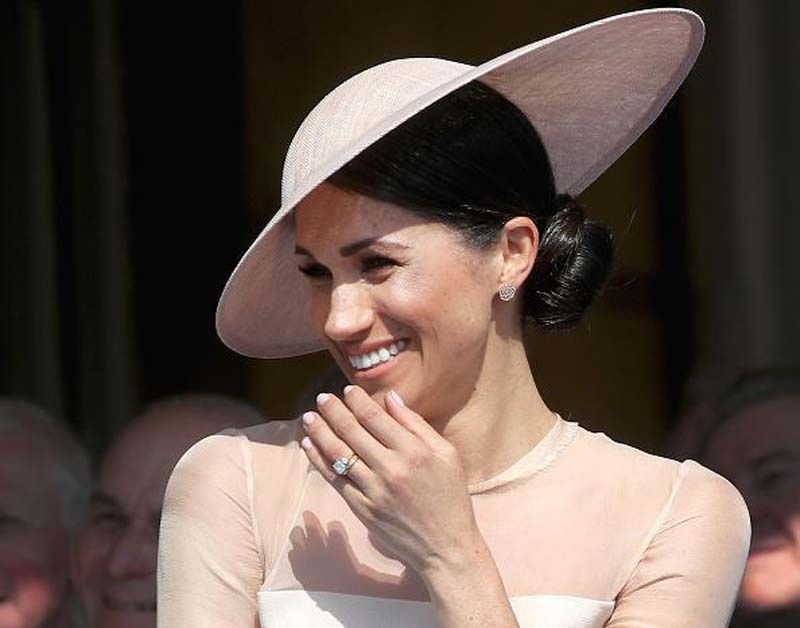 "Expect her to choose fewer causes than some of the other royals but to be more hands-on and to have an incredible global reach as a senior member of the Royal Family," the royal commentator continued. "As someone who identifies as biracial, she is ideally placed to champion diversity which she undoubtedly will." In addition, Fitzwilliams believes that Markle will campaign for the LGBT community. She is also expected to travel with Prince Harry. "She also feels strongly about LGBT rights which she has called basic human rights," Fitzwilliams added. "The embroidery of the gorgeous veil she wore at her wedding was composed of floral emblems from all 53 states of the Commonwealth. Expect her to tour as many as possible with Harry, interest will be phenomenal." Prince Harry and Markle are expected to do more things together. Andrew Morton, Princess Diana's biographer, also believes that the Duke and Duchess of Sussex will represent monarchy in the Commonwealth. "Meghan and Harry are going to be a power couple," Morton wrote in "Meghan: A Hollywood Princess" biography. "Together they can make more change. You're going to see them as far more activists than perhaps previous royal couples." Prince Harry and Markle are currently taking a break from their royal duties for their honeymoon. The palace has not confirmed where the couple is. Initially, it was reported that they were visiting Namibia. Earlier this week, TMZ reported that the duke and duchess were flying to Alberta, Canada to enjoy a vacation at Fairmont Jasper Park Lodge. But the luxury resort denied that the royal booked them. According to Omid Scobie, Prince Harry and Markle have to change their travel location for safety purposes. "The honeymoon destination has changed a few times since they started planning," Scobie said. "If a location leaks prior to travel, it compromises their safety on the trip, and they'll be advised by their protection team to change plans."